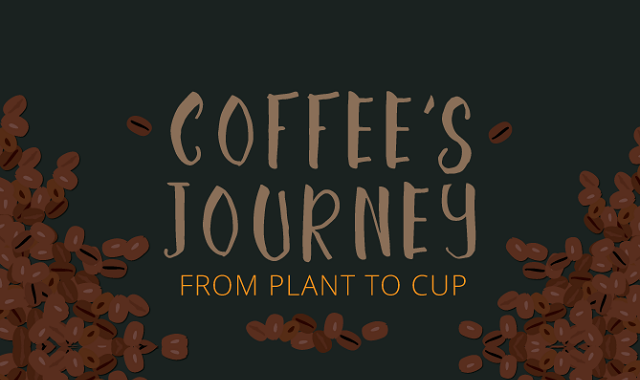 Coffee's Journey From Plant to Cup #infographic ~ Visualistan '+g+"
For some people, coffee is a lifestyle. It’s exactly why cafés are so popular these days. Coffee brings people together, whether it is for work or play. Some can’t even start their days without it! After all, this breakfast staple doubles as morning fuel. No wonder it has a place in every restaurant menu. In fact, 54 percent of Americans over the age of 18 drink coffee every day. The U.S. also spends $40 billion on coffee each year.1 Needless to say, coffee is loved by many. But if you do not know much about it, ordering a cup can be intimidating. How does dark roast taste? What is in a macchiato? Why is there foam on top? It is enough to make anyone’s head spin. You don’t have to panic order, though. Take some time to learn about the basics; it’s the best way to enjoy a cup of joe.